Human spaceflight is inherently risky, which is why we have tremendous safeguards in place to protect our astronauts. When NASA’s Space Launch System (SLS) and Orion spacecraft fly in 2020, a Launch Abort System (LAS) will be incorporated into the design. Northrop Grumman’s launch abort motor is an integral part of the LAS, which will safely pull the Orion crew module away from the launch vehicle in the event of an emergency on the launch pad or during ascent. Orion is designed to launch on NASA’s SLS, which will be the first vehicle to send humans into space from American soil since the space shuttle program ended in 2011. Northrop Grumman is on contract to Lockheed Martin, the prime contractor building Orion, to build the launch abort motor and attitude control motor for the LAS. The Launch Abort Motor team stands near two completed motors before shipment. 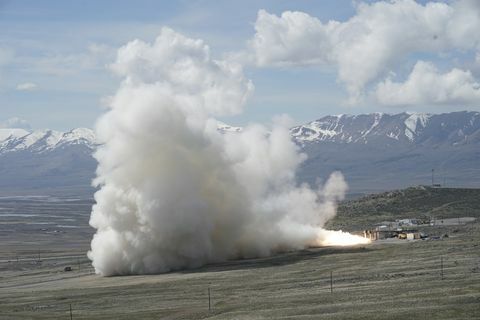 The AA-2 motor will play a key role in the Ascent Abort test scheduled for Spring 2019 and the QM-2 motor will be tested under cold conditions at Northrop Grumman’s facility in Promontory, Utah in December. 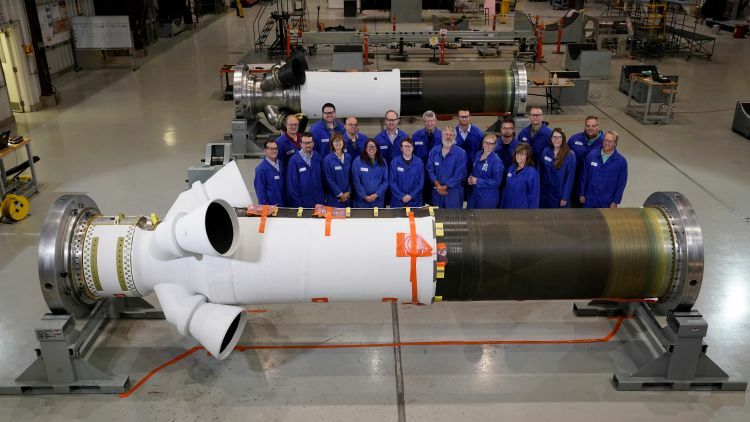 Recently, Northrop Grumman completed production of the launch abort motor that will fly as an integral part of a test of NASA’s LAS and Orion spacecraft in 2019. 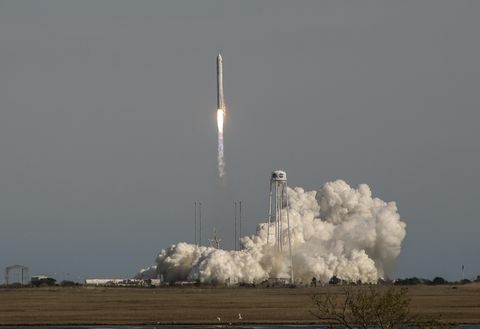 This full-stress test of the LAS, called Ascent Abort Test 2 (AA-2), will launch from Cape Canaveral Air Force Station in Florida, carrying a fully functional launch abort system and a 22,000 pound Orion test vehicle to an altitude of 32,000 feet at Mach 1.3 (approximately 1,000 miles an hour). At that point, the LAS’ powerful reverse-flow abort motor will fire, carrying the Orion test vehicle away from the boost vehicle. In addition to the abort motor and attitude control motor for this test, Northrop Grumman is also providing the specialized rocket that will simulate SLS launch conditions. As the AA-2 motor is prepared for its flight in Florida, the team is working hard to prepare for another very important test of a launch abort motor. The Qualification Motor-2 recently completed production at Northrop Grumman’s manufacturing facility in Magna, Utah and has been shipped to Northrop Grumman’s test facility in Promontory, Utah. The second qualification test is scheduled to take place in December. 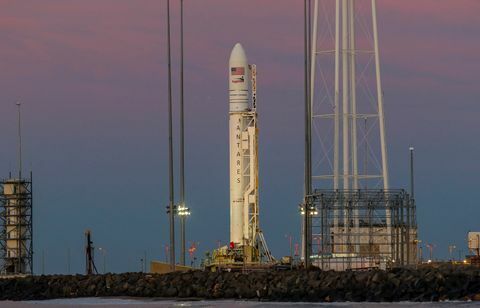 During this test the motor will be conditioned to cold temperatures to qualify the launch abort motor for flights in low temperature conditions. Both AA-2 and QM-2 are critical milestones on the path to the pad for the SLS and Orion programs.